There sure is! The club serves hot and cold drinks before each performance, and during the interval. Occasionally we’ll keep the bar open after a performance too so that you can meet the cast and crew in a relaxed atmosphere. 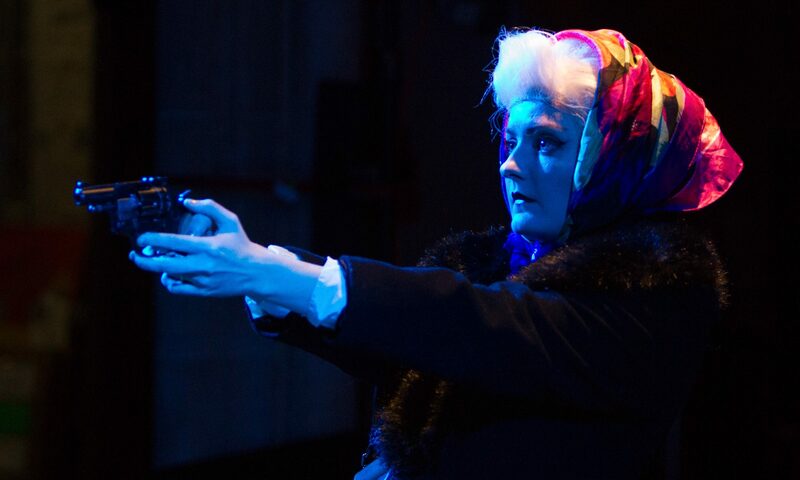 We also serve a selection of theatre snacks and of course ice-cream in the interval!  Huntingdon has excellent choice for both pre-theatre dinner and post-theatre drinks. 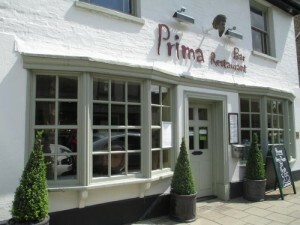 Prima Bar & Restaurant, 143 High Street, Huntingdon. Italian menu, good wine list, casual atmosphere. Alex’s Cafe Restaurant, 25 High Street, Huntingdon. A modern take on a Greek Cypriot menu. Licensed. Bistro atmosphere. 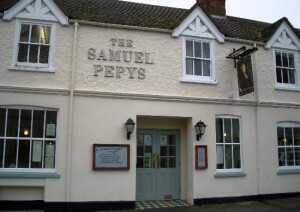 The Samuel Pepys, 146 High Street, Huntingdon. Friendly pub serving good food both inside and on the patio. Live music some nights too! 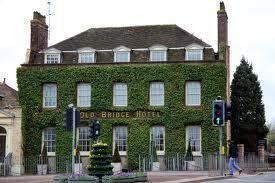 The Old Bridge Hotel, 1 High Street, Huntingdon. 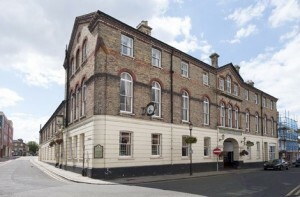 A beautiful, upmarket hotel & restaurant on the banks of the Great Ouse. 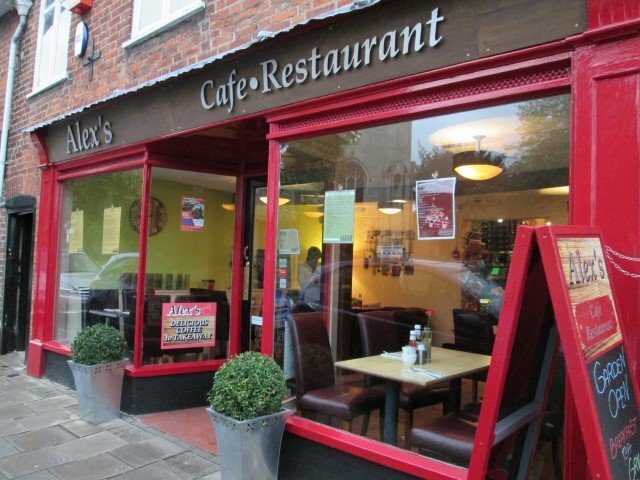 Excellent menu, extensive wine list and shop, formal atmosphere in the restaurant. A real treat before the theatre! The George, Huntingdon. The Cromwells were a prominent local land-owning family in the area and Oliver was born in Huntingdon. Recently extensively refurbished, The George takes pride in the fact that it was once the home of Oliver Cromwell’s grandfather and mixes time-honoured values with modern comforts. Experience the restaurant and bar, book the four- poster room for a special occasion. Sandford House, Huntingdon. 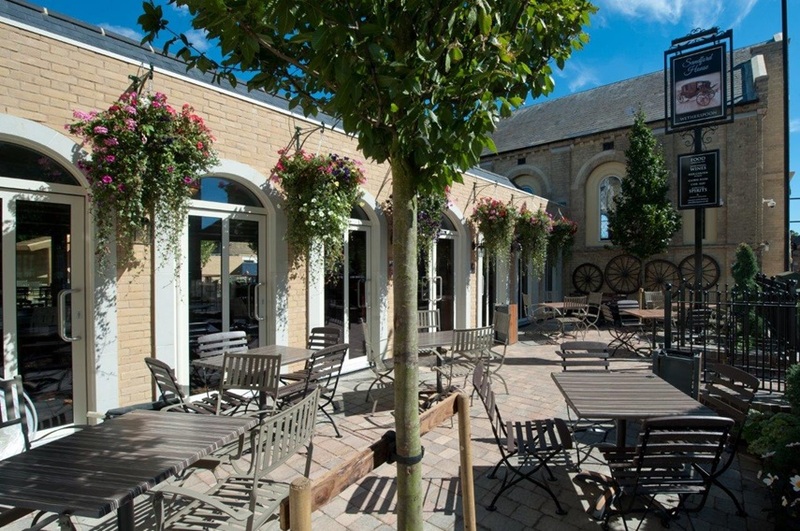 Perhaps more commonly known as ‘Wetherspoons’ – Sandford House is the most recent addition to the pub scene in town. 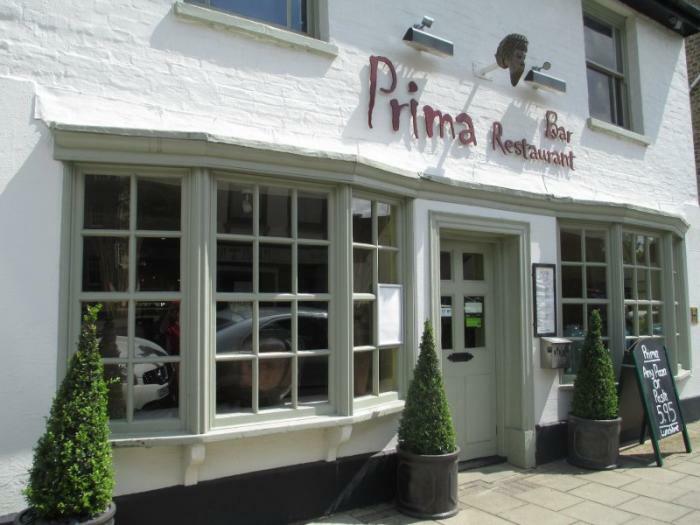 Serving reasonably priced food & drink all day and open late at weekends, the pub also has 22 hotel rooms. Our regular social event Drama Drinks takes place here on the last Friday of each month.